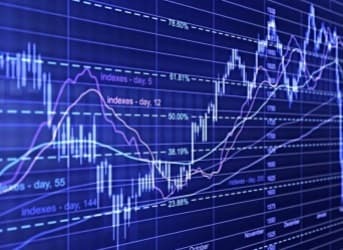 Government intervention in the labour dispute in Norway pushed crude oil prices back below the $100 mark after a brief spike Monday. Authorities said the strike halted about 15 percent of the country's total oil production and 7 percent of its natural gas output. Meanwhile, China, the world's second-largest economy, cut oil imports in June to their lowest rate since late 2011. Trouble in the Eurozone and weak recovery in the U.S. economy may be keeping oil prices in check despite bullish sentiments in early 2012. OPEC produced less crude oil in June, suggesting tepid demand is keeping much higher prices at bay. 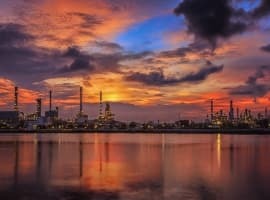 Brent crude oil prices moved up more than $2 to just over $100 per barrel late Monday as Norway, the largest regional oil and natural gas producer, moved close to a complete shutdown because of labour disputes. National law gives the government the ability to intervene in labour disputes and, with potentially millions of barrels of crude oil production at stake, the country's labour minister stepped in at the 11th hour. By Tuesday, crude oil prices had dropped around 1 percent after Norwegian authorities declared that "the conflict is over." Economically speaking, however, the slowdown in the Chinese economy could put further strains on a global market already coping with the enduring debt crisis in the Eurozone. The German government signalled Tuesday that it was concerned delays in a permanent bailout fund could strain a European market that's been on life support at least since 2009. China, for its part, showed a decline in crude oil imports in June, suggesting the booming Asian economy was slowing down. Chinese oil demand is considered something of a benchmark in terms of global crude oil markets and the slump there suggests something more than seasonal anomalies. 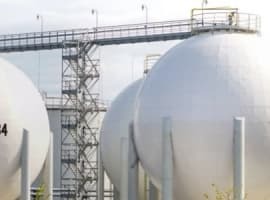 The U.S. Energy Department's Energy Information Administration, in its monthly energy outlook, showed that members of the OPEC oil cartel produced on average 30.5 million barrels of oil per day in June, which represents a decline of more than 1 percent from May. The EIA said production from Saudi Arabia declined modestly to 9.7 million bpd. Iranian production, the administration said, declined at an accelerated rate, presumably because of storage limitations. U.S. and European sanctions targeting the Iranian energy sector sparked only a brief surge in oil prices as markets had a six-month adjustment period to compensate for the action. The EIA, starting in June, is issuing forecasts for Brent crude oil prices. The agency expects Brent to average $106 per barrel for 2012, a price that represents a 6 percent increase over current levels. By 2013, however, the EIA expects that price to revert to below $100. Assuming global oil prices are at least in part of a reflection of economic health, the forecast by the EIA suggests no short-term relief is in sight. The International Monetary Fund said it predicted the global economy would grow by 4 percent next year, but Managing Director Christine Lagarde said the outlook over the last few months has been "worrying."